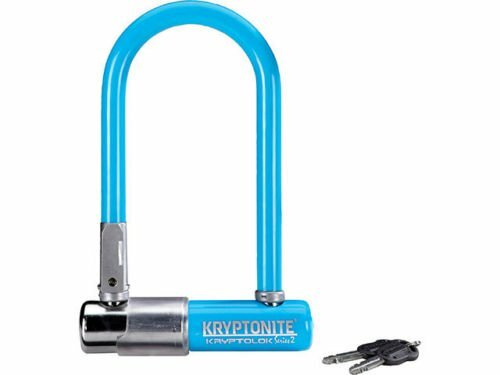 Worry not while you shop when you've locked up your bike with the Kryptonite KryptoLok Series Mini-7 U-Lock. Thanks to its high-grade hardened steel construction, this lock's shackle resists hand tools with force, while the double deadbolt design gives added protection against twist attacks. The high-security disc cylinder is pick and drill resistant to handle the more clever thieves, while the protective vinyl coating helps save your frame from scratches. Plus, the FlexFrame-U bracket offers convenient transport through multiple locations.